What do you think your Patronus would be? I think that when someone casts a patronus it is supposed to be an animal that someone associates with comfort. I've never known if someone could have something other than an animal for a patronus. Ofc (as Ariebelles pointed out to me as we are discussing patronuses now) Severus Snape changed his Patronus to Lily Potters, so in theory there is some measure of control we all would have over our patronuses. So were you able to choose your patronus, what animal would you choose, thinking in terms of something that has meaning to you and gives you comfort? To this day my mum always byes me cow related things for my apartment, such as magnets and pot holders, etc. Aw thanks for the shout out!!! I discussed this with Jon and at first I said my protromous would be a horse. I don't like animals much but I do have a fondness for horses. Then I remembered that a patrons is supposed to cause you a certain amount of comfort. Throughout the books it mentioned about casting the patronus for that reason alone. I have a soft spot for vicious cats. So I decided that my protronus would be a lioness or a leopard. That would give me the most feeling of safety and comfort! Argh, this is a tricky question for me, I'm such an animal lover. A dolphin, cat or white tiger. Seeing as dolphins swim that might look a little awkward... but the air can be its water. I'd choose a dolphin to be my Patronus, been obsessed with them since I was very young. Cats are my next favourite animal, one that I've actually spent time with before. I feel comforted by them because they're cuddly and usually/always know when you're really upset. My patrounus would probably be a penguin or a cat. a cat would be wonderful.. I think that my patronus would be a cat. Since I am a cat person and I always loved cats ever since I was a little kid. I really don't know, since a patronus reflects myself and i can't really judge me >.< But i wish it was a horse, that'd be cool. I'm also a huge animal lover,but this is quite easy for me. The animal that brings me comfort is definitely a tiger! Whether it's the 'standard version' or a white tiger. For as long as I can remember I always had a weird obsession with tigers. Kinda like Kristen Bell with sloths (if you haven't seen that video,you live under a rock ). I kid you not,as a kid I would spend hours and hours in the zoo just staring at the them. Everyone around me was pissed cause obviously they wanted to see the other animals as well,but I refused to leave. Then my mom would have to stay with me while the rest of the family went on with the sightseeing (is that the appropriate word? I don't know...I don't care!). I don't know why that is,but till this day I get all 'warm and fuzzy' when I see a tiger. I understand it's not the type of animal that is in any way associated with 'warm and fuzzy' but to me it is! I saw every tiger-related documentary/TV show...you name it,I saw it! Heck,I have a picture of a white tiger as my phone wallpaper for over 2 years! So,yes,I'm obsessed with the freakin' animal and it would definitely be my patronus! Hey Demian, that's a little bit like me . I'm not obsessed with tigers, but I'm very much fond of them. I didn't see many documentaries though. 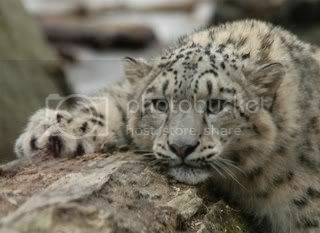 About a year ago I started to love snow panthers / leopards also. They are SO uniquely beautiful! And rare too, on extinction, unfortunately. A cormorant perhaps....I've always felt connected to the water somehow. And these animals always fascinated me. There is something about them which I can't quite explain. I'm guessing mine would be a cat cuz I don't tell anybody anything.. and I just look down on other ppl, and because of something that happened to me in 6th grade, I don't trust ppl, either. 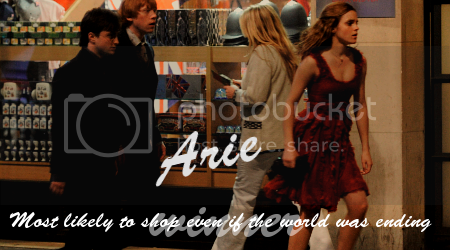 Edited by HermioneRules, 08 April 2012 - 02:45 PM. i think mine could be a beaver, because it's at its ease both on earth and in the water... but as someone else already said, we can't really know. Mine would be an owl. I think mine would be a bird. Both if i had control, and naturally. I've always wanted to be able to fly, and they're able to wander anywhere and everywhere. My wanderlust is insatiable.